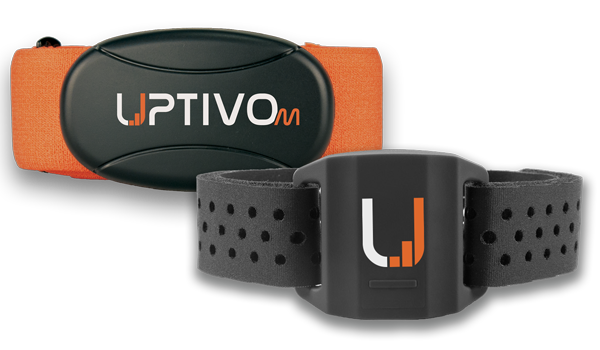 Expand your fitness offer with Uptivo Belt and Uptivo Armband to give your members the flexibility of these HR sensors: group training and workout classes (HIIT, spinning…), training with the club’s equipment (treadmills, exercise bikes, elliptical machines), or iOS and Android smartphones. 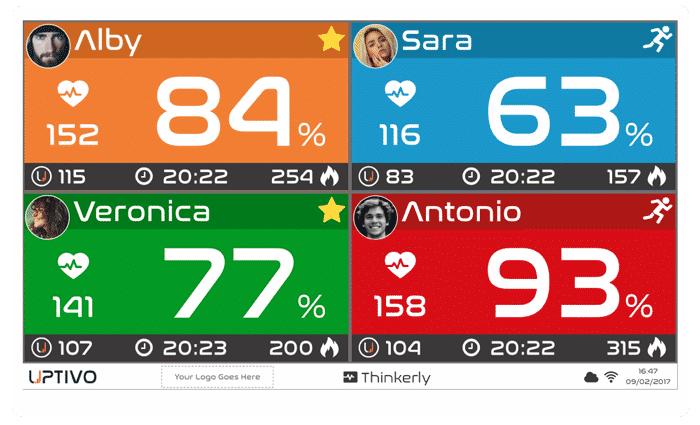 These HR sensors can be customized with your Club’s logo based on purchase quantities. The Uptivo solution is also compatible with the main heart rate monitor brands. 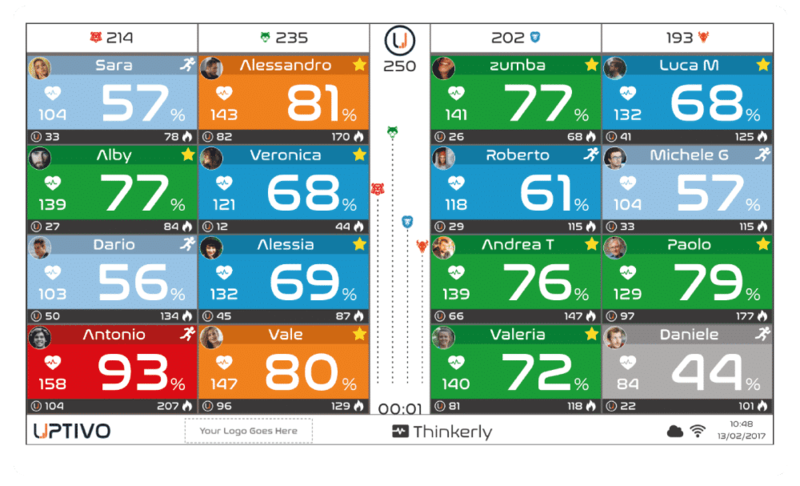 Uptivo provides several tools to add fun to your members’ workouts: you can divide your class into up to 4 teams and arrange friendly UPPs-based challenges among them, displaying daily, weekly, and monthly rankings based on UPPs, calories, and Target Zone time. 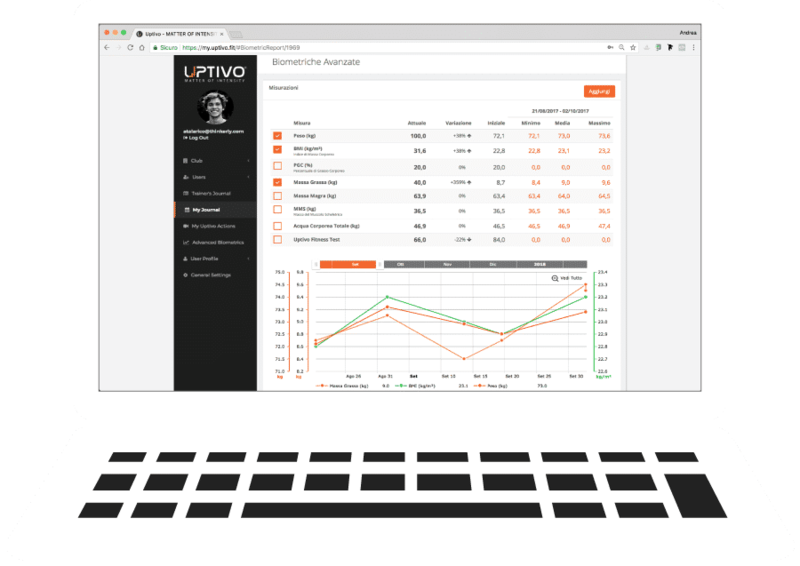 Uptivo is compatible with body composition analysis solutions in order to gather relevant information on members’ fitness shape and track their progress over time. 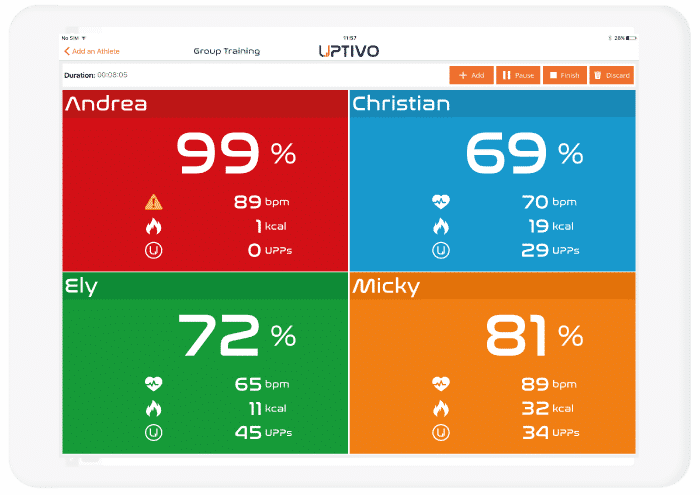 Uptivo Trainer, an app for iPad, is a great tool to help trainers at your club and personal trainers in their daily activities. 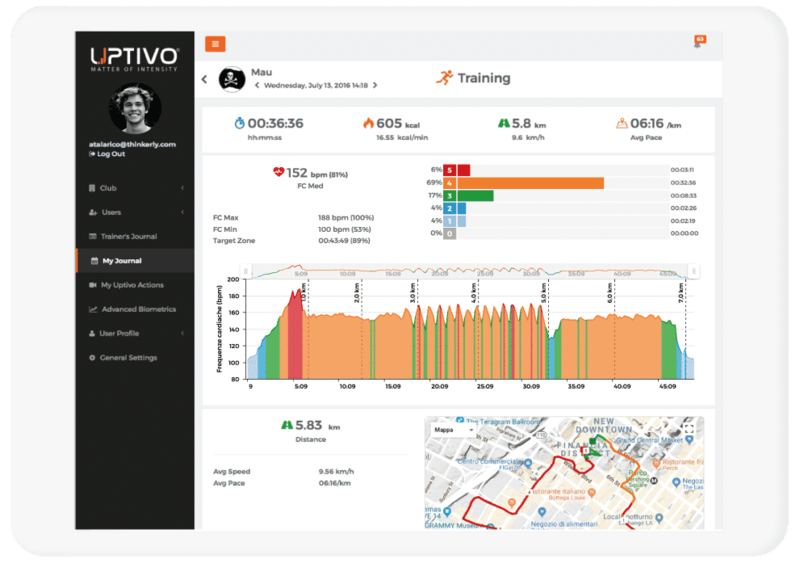 The app helps your staff to configure the entire Uptivo system in a few steps and allows you to take your individual and group fitness activities outdoors! Want to try Uptivo at your Club or Studio?